This event will last for 3 weeks starting in November for PC players, and on Xbox One and PlayStation 4 in early 2019. All players level 10 and above will be able to participate, and can earn a TFO Commendation once every 20 hours. 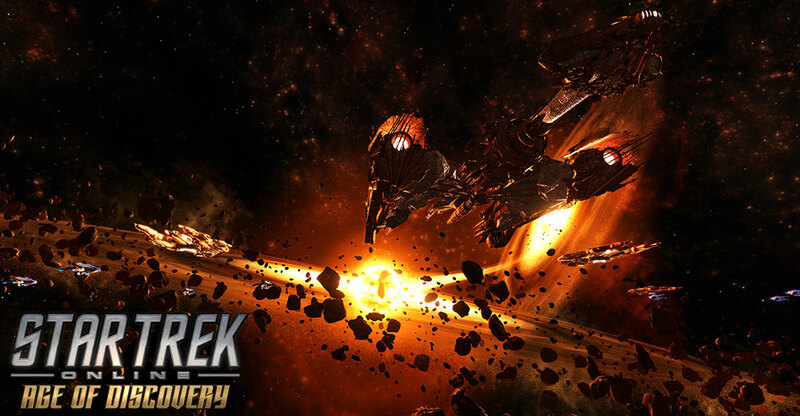 Complete the TFO on 14 different days to earn the Beacon of Kahless while earning marks and dilithium, as well as three Featured TFO Reward Boxes. This box gives your choice of an Enhanced Universal Tech Upgrade or a Captain Specialization Point Box, which gives the character who opens it a Specialization Point. These boxes are account bound and may be traded via the account bank. The Beacon of Kahless is an item that summons your own personal Beacon. The Beacon will appear, giving off a light that disable your enemies for several seconds. A group of Klingon ships will also warp into the system, answering the Beacon’s call and coming to your aid. As the light fades enemies will reset their threat assessment (players in Threatening Stance retain aggro). This Beacon is an account unlock, and may be claimed on other characters on your account.